We've got another perfect Fall afternoon activity that is sure to please you and the whole family. Dress up and bring your biggest smile and best attitude to one of PA's scheduled Halloween Festivals or Parades. Let's be honest, this holiday is all about dressing up and acting a bit ghoulish – why not check out what everyone else in your area is doing? Enjoy a day in town with your entire family while enjoying some of the joys of Fall. 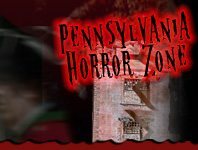 Make friends, explore Pennsylvania, and enjoy Halloween with one of the most fun activities that can release your inner child.